After teasing this a bit a few days ago, here I bring to you a cake recipe. Today is special because it is the first day I drop off the Fudgelet for preschool and LEAVE HIM for 2.5 hours. I know it’s silly to be sad about this when it is only 3 days a week and not even a whole day. Plus I still have the Chiplet at home, but I am pretty sure there might be tears. I am hoping he will be fine and not miss me at all, but I know I will miss him. I even miss him when K takes him out for stuff. He has been my sidekick for 4 years and now my spot as his favorite adult female might get usurped by some fun teachers. If I can manage it, I will make some chocolate chip cookies for when he comes home, just like my mom did every year for our first day of school. This is a whole different kind of cookie. 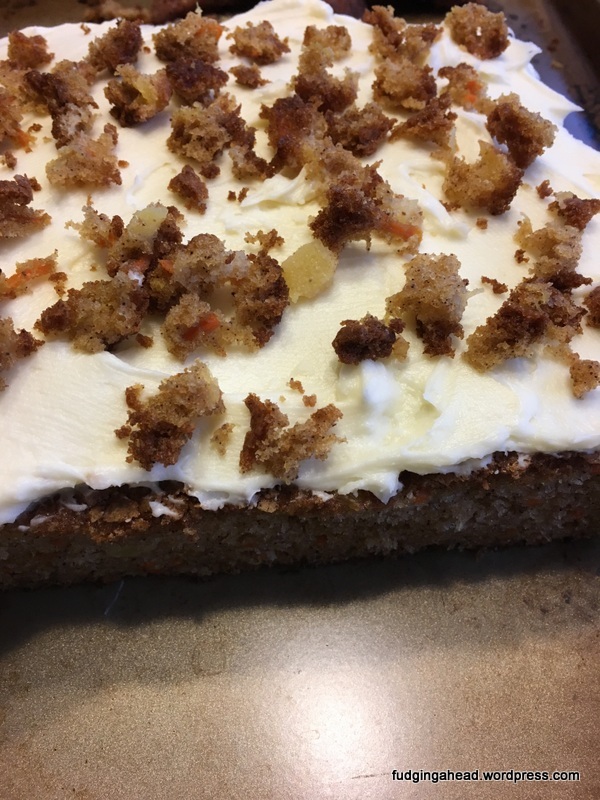 I have made carrot cake before, but not since I lived in Maryland. It has been that long! I have made a version of carrot cake muffins so that I was able to send some to my dad (cream cheese frosting wouldn’t ship very well) but not the actual cake. My dad had requested it for one of the possible treats I could make him when we visited this spring. I am not positive which recipe I made the first time for him. But this time I pulled from my favorite cake book: Layered. I took pictures with my phone of the recipe to do my best version there. I knew it couldn’t be identical since I wasn’t going to bring cake pans and all this time. Just as I posted a celebration dessert at the end of last year, here is another celebratory dessert. This was for my friend Lisa’s birthday, which happened a little while ago, but I am also using it to celebrate 5 years of being with my husband (we started dating 5 years ago yesterday). I am thankful to have both of them in my life! You might find a watermelon cake strange for the middle of winter, but if you want to bring a bit of summer to your cold days, or if you just happen to love watermelon as much as Lisa, then it’s perfect. 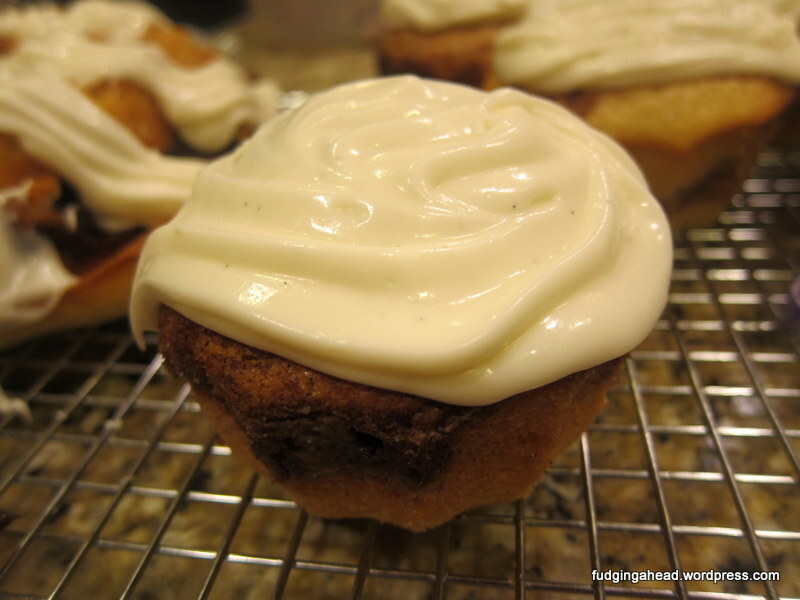 The appearance is not perfect because my recipe did not make enough frosting, so I recommend making 1.5 batches of it, or going nuts and doubling it (if you like eating frosting, or have other treats to decorate). I came across the idea for decorating the cake from Bird on a Cake. 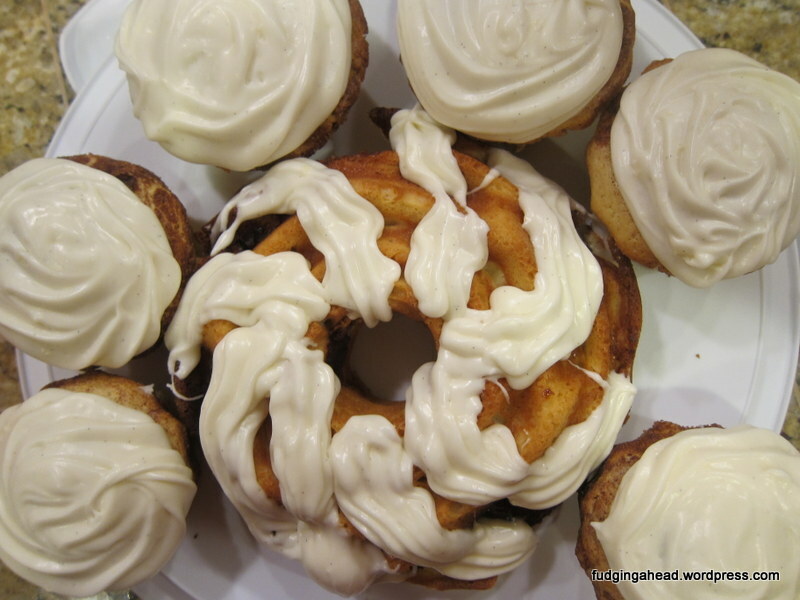 I used her ideas, along with Smitten Kitchen’s Best Birthday Cake recipe. 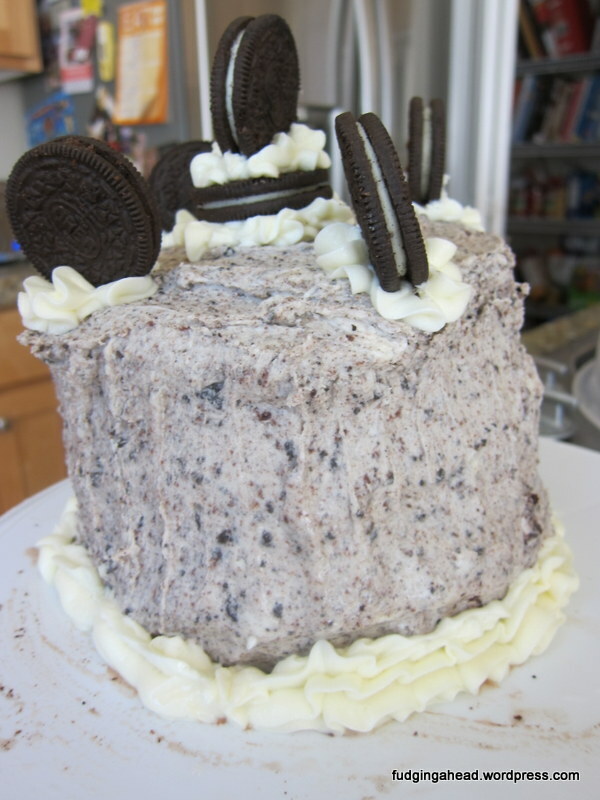 Ignore the visible layers through the frosting–more frosting would have helped. 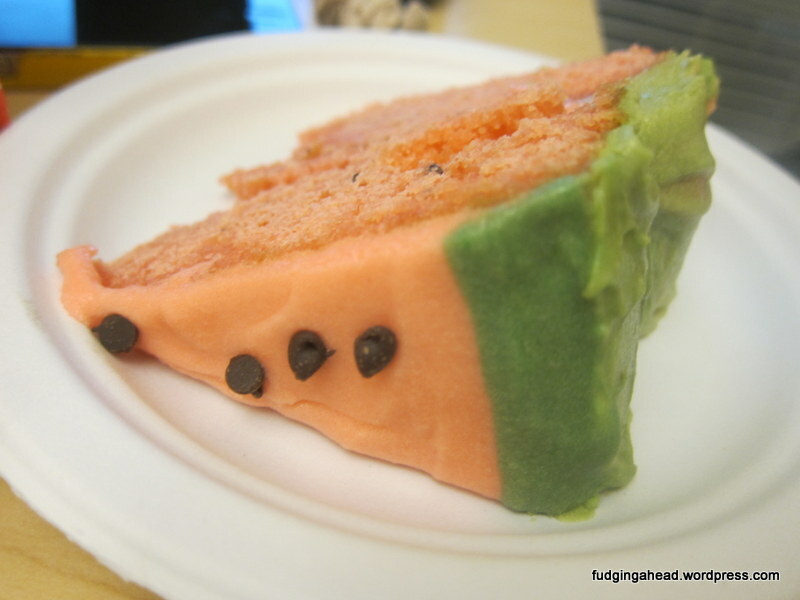 To create even more of a watermelon feel, I used candied cacao nibs in the cake. I made the mistake of not mixing them in, though, so they stayed on top, which is not ideal when you have to cut off the tops of the cake domes. 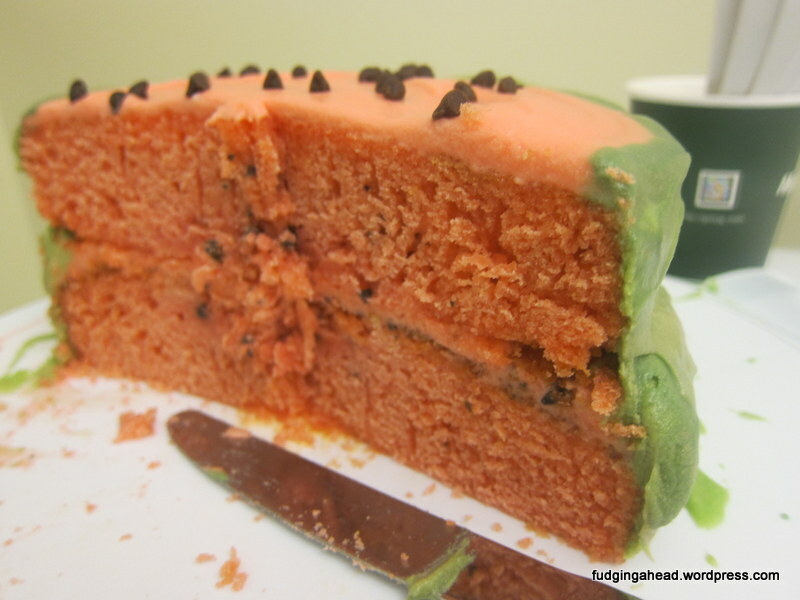 So, don’t be like my pictures: mix the chocolate chips into the cake batter. To compensate, I added more of the nibs to the pink frosting that I used between the layers. This worked well, so you could just do that. 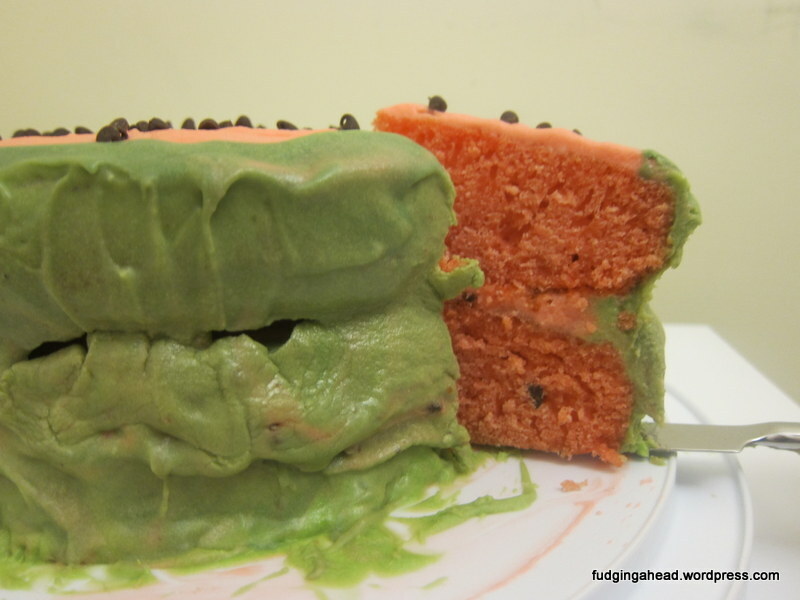 If you wanted to make cupcakes, I could see making the cake base as-is, then making just a small amount of green frosting to draw a circle around the tops, then filling in the rest with pink frosting and mini-chocolate chips.